This is the best low carb bread recipe with psyllium and flax I have ever had. Amazing! An easy ketogenic bread recipe that makes a beautiful loaf and tastes like sourdough bread. 3 net carbs per slice. Bread is one of those things many low carbers miss once choosing a low carb lifestyle, especially when just beginning. Luckily, there are many recipes for low carb bread available nowadays – many more than when I started out 8 years ago. We can thank the ingenuity of low carb bakers and low bloggers for the great recipes we have today. I like this low carb bread a lot! It’s the proper loaf size, not overly dense, cuts well, freezes well, doesn’t crumble, and above all tastes pretty darn good – like a homemade sourdough bread. 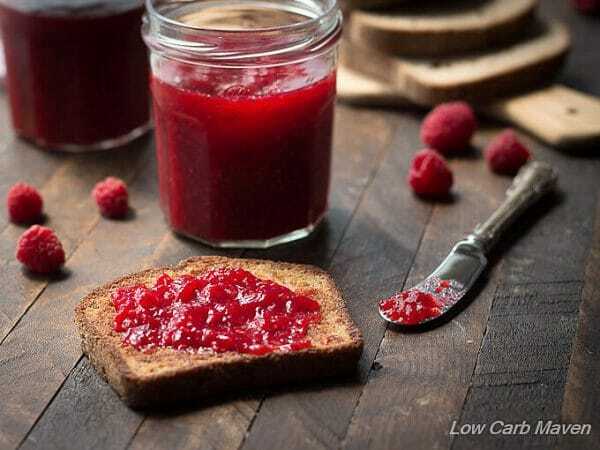 I love it pan fried and topped with low carb raspberry jelly or blueberry-lime chia seed jam! The miracle in this low carb bread recipe lies in the use of psyllium powder, and I can’t take any intellectual credit for it! I found the first recipe for psyllium bread on Maria Emmerich’s site mariamindbodyhealth.com. I used Maria’s amazing bread recipe for a long time. It took me several tries to get it right. The loaves had a great rise while baking then totally collapsed upon cooling. With practice, the loaves improved. I’m sure you’ve found out by now that gluten-free baking presents it’s own challenges especially when using low carb ingredients like almond flour and flax. 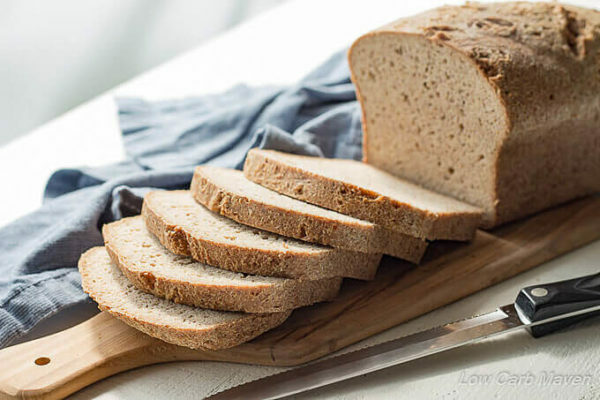 This low carb bread recipe combines golden flax meal with psyllium powder to achieve a look similar to that of whole wheat bread. I’ve added some tips to help ensure the recipe is a success. It is a bread recipe that must be followed exactly, and it does take some practice to get it right. I have presented the recipe in weights instead of measure because ambient moisture can affect the ingredients as can accidentally packing the ingredients while measuring. I want your first (or at least second loaf) to be a success! Regrind the NOW brand psyllium powder (NOT HUSKS) in a coffee grinder for at least 10 seconds each batch, then put it in an air tight container for future use. I only recommend NOW brand psyllium husk powder or Jay Robb. Because these brands tend not to turn purple when baked. (NOTE: Since originally writing this, some have reported that the Now brand psyllium has turned purple. It does not affect flavor). Grind the golden flax meal until very fine before using. Weigh ingredients for best results. I’m not even going to mention measuring cups because I want your bread to be successful. I did not test the recipe with coconut flour, just the almond flour. This is not a nut-free recipe. Do not over mix the ingredients or the dough will become gummy or collapse upon cooling. Whole eggs cause the psyllium-flax bread to smell like ammonia – yuck! I use pasteurized liquid egg whites from the grocery store, but separating whole eggs and using the whites, works. Bake the bread until it reaches an internal temperature of about 205-210 degrees. Psyllium is an absorbent fiber. If one doesn’t drink enough water while taking psyllium, it will absorb water from the body. No one wants to get a bowl obstruction, but everyone likes to be regular, right? Drink a glass of water with the serving of bread and be a happy camper! This is the best low carb bread with psyllium and flax I have had. At 3 net carbs per slice, enjoy that sandwich! If you have't read the post, go back and read it. I include some important tips on how to make the bread as well as a caution. Preheat the oven to 350 degrees F. Spray a 8x4 inch metal loaf pan with baking spray. Heat a kettle of water to a boil. Grind the golden flax meal in a coffee grinder to make sure it is very fine. Place a large bowl on a scale, turn it on, zero it out, and measure 10 ounces of almond flour into the bowl. Zero the scale and measure 3 ounces of golden flax meal into the bowl. Zero the scale and change it to grams. Measure 100 grams of psyllium powder into the bowl, then add the salt and baking powder. Remove the bowl from the scale and mix the ingredients with a hand mixer to ensure that they are evenly distributed. Put a smaller bowl in the scale, turn it on, zero it out and measure 8 ounces of egg whites into the bowl. Zero out the scale and add 3 ounces of vinegar. Pour the egg white mixture into the bowl with the dry ingredients and mix at a high speed until just combined. (The mixture will begin to expand a bit.) It should only take 10 seconds. DO NOT OVER MIX. Quickly rinse out the small bowl and return it to the scale. Zero the scale and add the 14 ounces of hot water. Pour the hot water onto the ingredients previously mixed with the egg whites (don't just dump it into the middle) and again, mix quickly at high speed, just until incorporated 10-15 seconds. If there is a little dry bread mix in the bottom of the bowl, it's okay. Gently remove the dough with your hands, (it will be cool) and ever-so-slightly and gently, shape it into a loaf shape while bringing it to the bread pan. Put the Psyllium-flax bread dough into the pan - it will not be perfect and there may be gaps in the corners or one side may be a little higher than the other - it's okay, put it into the oven. Bake for 80-90 minutes, depending on your oven. Depending on your oven, it may need a little more time. It is done when the internal temperature is 205-210 degrees F.
Let the loaf cool in the pan for only 5 minutes and then remove and place on a cooling rack to cool completely. If left in the pan to cool, the steam from the bread may make the loaf soggy. I place it on its side for 5 minutes, then set it right side up to finish cooling. Don't cut the bread until it is almost completely cool. Makes 20 slices with 3 net carbs per slice. Store in an airtight bag in the refrigerator for about 10-12 days. The bread freezes beautifully. Thaw in the fridge. It's best to pan fry/toast the bread instead of using a toaster. People at high altitudes have had success cooking this bread in a toaster oven. One commenter mentioned that removing the bread from the pan after cooking and putting it back in the oven for about 10 minutes helps dry out the bottom which has the tendency to compact a little and sometimes be more dense. Can i powder the physilium husk in the grinder to get the powder? I LOVE this recipe! I’ve made it successfully a few times now (following the directions exactly), and it always turns out great. I’ve tried several other keto bread recipes, but none turn out this well. On the last batch I did experiment a little, and I’m really happy with the results. First, I added a tablespoon of nutritional yeast to the dry ingredients (ground fine). I also proofed a packet of active yeast in a half cup of warm water with about a teaspoon of molasses (just enough to feed the yeast, I don’t think it will greatly increase the carb count per slice). I made sure to subtract this weight from the 14 oz boiling water, and added it all together for the final blend before going in the oven. While I don’t think the active yeast contributes much to the rise, it sure gives the bread a great flavor! I just tried this for the first time and forgot the vinegar, but I really like the end result. I might’ve started slicing while still a bit moist, but flavor and texture overall are impressive. This really is the best low carb all-purpose bread recipe out there! I have made this bread 3 times now. 1st time didn’t rise so well but last 2 times perfect. I substitute lemon juice for vinegar as I prefer it and 2 flat teaspoons of bicarbonate soda instead of baking powder. Love irt…pretty foolproof! I am on a kidney friendly diet, so the ingredients are perfect for me! I am so grateful for this site. I am struggling with my ketogenic diet. Thanks so much for your work in making it better for all of the rest of us. Just a question about storage: I was thinking of premixing the dry ingredients (while I have all the ingredients and scale out!) and I wondered if you thought this would be ok. I would refrigerate the mixture and only add the wet ingredients at time of baking. Should I leave out the baking powder too? Tried and loved it! No problems with texture or doneness. After reading lots of comments, we did bake it an extra ten mins out of the pan, though, to get up to directed internal temp. and optimal texture on the bottom. All the guidance in the recipe was SO helpful. This is the best psyllium bread we have made yet, and this recipe was a success on the very first attempt! Hi! Thank you for sharing this recipe, I will be trying it soon! Couple questions- do you think using a sifter for the flax and psyllium powder works? I want to try baking in a loaf pan, then taking out and baking on the oven rack- do you think a sheet of foil underneath will prevent the heat needed for taking out some of the moisture and densness? I kinda cringe about placing it directly on the (maybe not-so-clean) rack. Hello, I used psyllium husk powder in a similar bread recipe and after refrigeration the bread little clear round balls in the cooked product and was very gritty. Had to throw it away. I cannot find anyone else that has had this experience. Any thoughts as to why this happened? I made this last night and the top half of the bread that rose above the tin was perfect, nut the botton was much more dense. Is this because I didn’t bake it long enough? It was still good, but the botton was a little too dense. Have made it. Very nice. Still had dense spots in it but took it out at 80 minutes. I only had husks so I ground them down. I tired to make this bread a few times, but it always came out… a bit wet. Do you think keeping it longer in the oven and decreasing the temperature gradually will help? This is the Holy Grail of gluten-free , low-carb bread! It is neutral in flavor, moist, and does not crumble! I’d like to also say that I really appreciate your exact measurements, and precise instructions! I’m a baker of 25 years, and it is the way I do things, as well. Thanks for developing the recipe and sharing it! I live in Perth Australia and just made this loaf with a couple of minor tweeks. I added 1 Tbs coconut flour and took away 4 Tbs almond meal, added 2 tspns Caraway seeds (ground), and baked a freeform loaf on a cookie sheet for 90 minutes then took the loaf off the sheet and placed it on the oven rack to cook for a further 15 minutes. Has a lovely crustbon the outside and rose nicely. My daughter and i enjoyed the loaf, it has a mild rye taste and was yummy with tasty cheese and salmon on top. Thanks for a great recipe. did your bread rise like the picture or flat as a board? Do you know the Sodium content per slice? Hello from Saskatchewan, Canada!! I have never ever posted a comment on any site for any reason, however today it is a must that I leave a comment. Here is my story, don’t we all have one. I had a heart attack and triple bypass 2 yrs ago next month, all went well other than months of coughing it broke my sternum wires hence I require another surgery to have them rewired, that in itself is risky according to my surgeon bc he doesn’t want to be working that close to my grafts, but on top of that a report I read he had wrote, my body “habitus” also puts me at risk, wtf is habitus? A technical term for being fat basically lol. I came to the realization that I must make a change and it has got to be forever this time, for I have tried this low carb thing so many times I could definitely counsel others, the biggest change I made this time is that I know it is forever, so I am spending less time worrying about coming off and going back on, peeing on a stick, and freaking out when it is not purple, I am using that energy to learn how to eat differently, and this will be a forever thing. This brings me to the bread….OMG!! How many recipes out there say they are the best low carb bread out there?? Uhhh, every single one of them, and not 1 single recipe has turned out, it has been spongy enough to bounce off of, and purple, good lord, no purple doesn’t change the flavor if you close your eyes but for the longevity of my success I am sorry, I can not and will not eat purple bread, or they taste like rotten stinky eggs. All the choices that require mozza cheese as the main part of the dough, while it was neat in the beginning, I am so tired of the flavor of cheese bread dough. Kim…..you are my god send, this bread, I have just finished making it, I was scared as hell to try it, I went and bought a coffee grinder from Canadian Tire, it was 13 bux, and well worth it. I ground up the flax and psyllium twice just to be safe and followed everything perfectly other than I used a tinfoil bread pan, the throw away kind. The only things that happened that I have to make any adjustments is, holy Hannah it rose so much it kind of got burnt on the top and the bottom was a wee bit too spongy. But, like you said, it will take a couple times making it to perfect it, and I have now found my bread that I will make forever and a day, and recommend anyone who has been searching like me that they can stop searching, because honestly and truly this is the best low carb bread on the internet I swear. Take care and I look forward to trying out more of your recipes because I certainly trust you that you know your SH*T.
Hi Heather. Wow! It sounds like you have been through a lot. I am so sorry for your heart troubles but am happy that you have found a solution that is going to work for you. You will love that coffee grinder and will find it useful for everything – spices, nuts, coconut, pepper corns… just clean it out really well after use. I’m glad the bread worked out for you. I don’t know what size oven you have, but you may want to cook it on a lower shelf. Some people have removed the bread from the pan to bake even longer on a lower rack to dry out the bottom a bit. It will always be a little more dense and moist on the bottom. It is what it is. Well, thank you for your kind words and I wish you the best of luck. Well I’m really glad I Majored in engineering’s as the years of calculus payed off. I didn’t but have scale so I had to use the total net weights and nutritional info on the package to get the right amounts for the solids. Surprisingly it turned out perfectly! It’s amazing what the desperation at the beginning of a keto diet can do you you. Cheers! 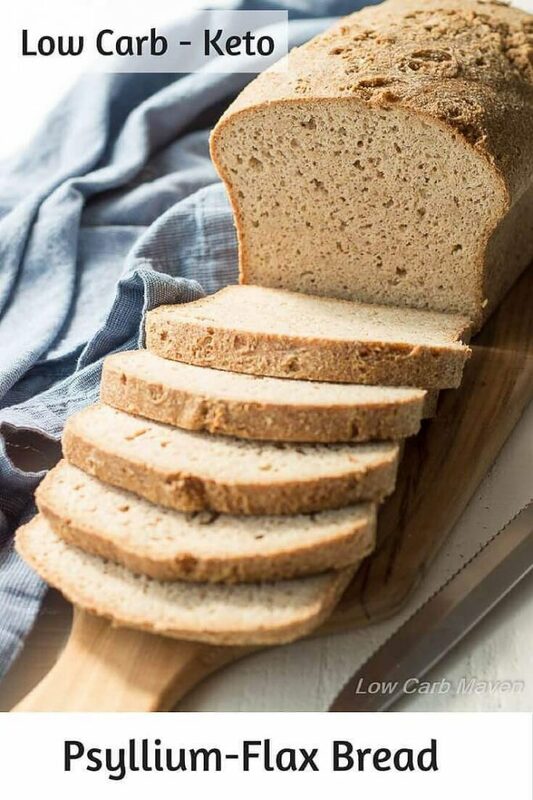 I have been making this bread for about a year now and it is my favorite of all the low carb bread, but in truth I have always had issues with the bottom being dense and pretty unusable. I found a fix for that for anyone else having that issue. I know skip the bread pan and put a sheet pan in the oven to preheat. I then form the loaf on the hot pan as sort of an Italian style loaf. The heat of the baking sheet seems to get the bottom of the loaf off to a good start and no more dense bottom. I bake it for the full amount of time, and take it off the sheet and put on oven rack when done to dry out some more as oven cools. I just slice the loaf on the diagonal like an Italian loaf for a longer slice. Mine loaf is about 4-5 inches high. No collapsing issue either. Buns always turn out well for me. Hope this is of some help to folks having issues with wet or dense bottoms. The bread turned out fine but has a strong vinegar taste. I’m thinking 3 oz is too much. I did weigh the ingredients. I love to bake that way. I was so afraid to try this, just in case you were watching over me, and I got it wrong. VERY strict instructions – but appropriately, so. It clearly means a lot to you that people try this, and get it right – thank you. I also read through most of the comments, and picked up a few tips from those, too. I was 1 oz short of almond flour, so subbed with coconut flour, seemingly without a problem. I’m very pleased with the end result, and don’t mind the purple hue – it just adds to the charm of it! I will slice and freeze it … and have some whenever there’s a call for bread or toast. Thank you so much for your time and trouble. Just made it and followed your instructions to the T. Was worried it be purple as used the only psyllium husk brand in Dubai which is not any of your recommendations and it came out perfectly!! The closest to bread consistency, only thing is i felt it was very bland. Perhaps i need to add more salt next time?? Anything else you recommend to add more flavour? OMG!!! WHAT AN IDIOT!!!! I totally skipped the very first ingredient… so after the whole thing was together and headed in the oven I put it back in the mixing bowl and tried to remix it… I’m just saying that if it comes out I’ll be happy and if it doesn’t this will be one of my Keto moments in history! 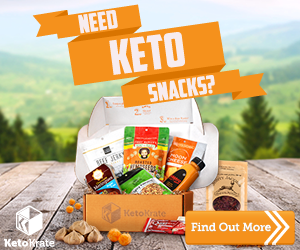 Sometimes I get Keto fog and this would be one of those times! Had to share today! This is the second time I’ve used this recipe and both times it has come out perfectly. I’m used to making bread from freshly milled wheat and this recipe is by far the closest to that. Half the almond flour was hazelnut flour-yum! For the 3 oz fax seed, 1 oz ground chia seeds and 2 oz glucomman (konjac root) powder. Since I was worried the two subs would make things gummy, I added another tablespoon of baking powder. I have read about concerns over the amount of almonds involved in making the almond flour, and that it might not be real good for a person. I also read that it’s possible to substitute coconut flour at 1:4 the ratio… so 10 oz of almond flour could be replaced with 2.5 oz of coconut flour. Have you considered or tried that? Really fantastic! This is what the low carb diet has been missing: A delicious loaf with real bread texture. It’s sturdy, dense, springy, and moist. . 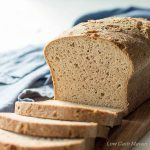 I love Low Carb Keto Bread recipe! I would also love to feature it in our website, Greenthickies. I will not be posting the actual recipes, but will only use one image, title, a small quote and link back here. Hi Kim, do you think or have you tried oat fiber in place of the psyllium powder? Both seem to be fibers but wanting to know if they are in any way inter-changeable. I’ve made a few low carb Bread’s but don’t care for the rubbery texture that you sometimes get using Psyllium. I’m looking for something that actually “toasts” up and haven’t had any success with Psyllium versions. Can you give this recipe in cups verses grams how to I measure ounces in dry measure for the flax, also for the egg white do I measure out literally 8 oz if I don’t by the packages stuff? Thank you. I have always purchased any brand of psyllium husks in Australia and ground them into powder and never have I had a purple bake. Interesting. I am trying your recipe in a silicone bread pan as I threw out all my metal ones years ago and generally use my glass ones. I will see how it works . I really don’t eat any type of bread these days so it is mainly for my husband who buys GF bread but I prefer him to be low carb. His recent diagnosis of blood clots in lungs and a leg might give him a wake up call to commit to LC. It forced the cancellation of our holiday to Singapore then a 2 week cruise to Cairns, Queensland then home to NSW, eleven days from departure. Devastated!! Went out to out local RSPCA branch and adopted a kitten to keep my dog company instead. Should have named him Cruise cos he is instead of!! So glad I finally found a recipe that makes the bread tall enough to make regular sandwiches. I find it best enjoyed toasted or grilled. Anyone know how to best dry it out? I was making French toast but due to all the moisture in each slice it didn’t take on enough egg to really taste like French toast even after pre-toasting them. A wonderful bread recipe. I have just made my first loaf and we love it! I replaced 3 out of the 10 ounces of almond flour with pumpkin seeds flour, and it’s delicious too and you cannot distinguish the almond flavor in the bread (can you with the original recipe?). Thanks to you Kim for sharing that recipee, probably the best gluten free bread I have ever eaten. Have a wonderful week too! Hi, I was wondering if you could add sunflower, sesame and pepita seeds to this loaf? I have Psyllium Husk, can I use my Vitamix “Dry” container to grind it to a powder? It’s not the regular pitcher, it is specifically used to grind nuts and etc. So I made the bread well row things happened. One, the bread had a huge air pocket and second, it came out color of purple! Hi Silas. The air pocket is called tunneling and happens with regular bread, too. Try to get big air bubbles out of the bread before baking. I use my rubber spatula to help shape the dough into an American football shape before I take it out of my bowl and put it into the pan. This helps me push the dough together, eliminating some of the air bubbles. The other thing I do is raise the loaf pan a few inches off the counter and let it fall back onto the counter. I do this 2-4 times. These techniques should help with the tunneling problem ( which is just trapped air). This will be perfect for me. What type of vinegar did you use ? Have you ever frozen a baked loaf? Think it would freeze ok? Yay! Finally a successful loaf! I have tried Maria’s version many times and it always ends up with tunneling and wet bottom do matter how long I bake it for. This recipe worked and I have a loaf that rose well and is not hollow inside with gummy wet bottom half. Thank you, thank you, thank you! Some such recipes state that you must use psyllium husks, not powder. Why does this one insist on powder? Oh! And I’ve found this is even easier to make in my KitchenAid STAND mixer. Kim, I and my husband wish to thank you for all your hard work. You’re detailed instructions are amazing. My loaf tastes GREAT! Its so nice to have something to spread SF blackberry jam on. I had cheese toast this afternoon. (with lots of water of course.) My husband can’t say enough how he loves your bread. It’s the first low carb item he can’t get enough of and I’ve been low carbing for 10+ years. The bread is in my oven but as the vinegar in the ingredients list was not mentioned in the directions. I missed it. What will happen? I was stuck with a lot of leftover egg whites after smoothies and making custards, so this recipe helped me use them up. And of course, a successful low carb bread would be delightful! Unfortunately though, something went wrong, but probably out of my own wrong doing. It was cooked, but gummy inside and hollow at the top – any ideas what went wrong? I read through all the instructions and the only difference was that I didn’t use a thermometer as I don’t own one (cooked for 100 mins for safe measure). I used brown flaxseed as it’s what I had on hand (not fussed with the colour, all that matters is taste) and the psyllium husk was a different brand, as I’m in Australia (but I see someone from Oz has had success). I was careful not to over mix, but may have been too heavy-handed getting it in the pan. I’d like to try it again in the future, so any advice would be appreciated. Thanks! One tip I can give to those who complain about gummy spots and a wet bottom of the bread is this. After the bread has baked fully and is up to temp, tip it out of the pan onto the oven rack and bake it for 10 more minutes. Works wonderfully in fixing that problem. Wow! So easy to make and crazy delicious. Its bread!! I cannot wait to try this as sandwich bread and french toast. Just amazing. Thank you!! I made 3 exact attempts at Maria’s Amazing Bread recipe and one pass at Elana’s keto bread. Maria’s bread was a failure – I would get an edible half inch of bread and the rest was gummy. Elana’s was too eggy and nutty/dusty. Your bread turned out PERFECTLY. For those worried about cost, Costco sells almond flour very cheap. I got my last 3lb bag for $11.49 – that’s enough for 5 loaves. I got my psyllium husk from the bulk bins at our natural grocer for super cheap and keep a 1lb $2.99 bag of Bob’s flaxseed meal in the freezer, which is enough for 5 loaves as well. Buying eggs by the dozen and separating them is cheaper than buying the egg whites – especially now around Easter. I found my 8×4 metal loaf pan at Walmart this week for $.88!!! And a $10 kitchen scale will last you forever. If you use a Kitchen-Aid stand mixer, my tip is to use the whisk attachment and not the paddle. Just made my second loaf. This time I used Jay Robb psyllium husks and ground them with the flaxseed meal in my Vitamix blender once I weighed them out. The loaf came out even higher and more gorgeous than the first time! It really is so easy once you assemble all the ingredients together. I had avocado toast, a ham and cheese sandwich, grilled cheese, and just toast with sugar free jam with my last loaf. Its made my life so much easier!! Definitely stock up while the eggs are cheap – Safeway/Carr’s had them 99 cents with a coupon! I buy golden flax seed in bulk bins (dirt cheap), and grind it as needed. I can get it finer grind with coffee grinder than Bob’s Red Mill does, and it can be kept a room temp forever . . . I should have said that whole seed can be kept at room temp forever, NOT ground. Tried this recipe today and while the taste and texture are good (no eggy taste), it did not rise at all and the color is much darker. As NOW psyllium is not available in Canada, I used another brand, otherwise followed the directions closely. Not sure why it didn’t rise. I like the taste, but I would like to figure out why it ddn’t rise before I try again. I live at sea level, so it is not a high altitude problem. I never thought to check the expiry date on my baking powder – but I should have as I don’t use it very often – and it is about a year old. I’ll buy new baking powder and try again. The bread tastes great toasted in the frying pan, so I want to get it right. Thanks! In Nova Sxotia at least you can get psyllium at Bulkbarn as well as organic grocery stores bulk section. Not sure what brand they carry but has worked so far for other recipes. I look forward to trying this recipe! Wow! It looks perfect, no wonder so many people shared it and commented hier. One question about the NOW Physillium Husk Powder, is that Now something special or can I use the regular p.h. powder I can buy hier? This recipe is ingenious. Thank you for making it and sharing it with all of us! The taste is great! Just made it last night and had a question. There are some parts that are still wet and seem raw (?) despite my baking it for 90 minutes. So I just wanted to ask how to salvage the rest of the loaf. I tried toasting 2 slices but the edges were already burnt and the insides were still wet even when toasted. Should I bake it in the oven again for a few more minutes? Will that help? Thanks so much for the swift response, Kim! Will definitely try making these again with your tips in mind once I’ve finished this loaf. It’s such a great tasting recipe – I particularly loved the toasted edges and the dough near it! Here’s hoping I can make it better next time around. Thanks again! I made this yesterday! It smelled so good as it baked! I cut it this morning, and it was a little wet with some separation beneath the top crust. I had decided to bake it an extra 10 minutes (110 minutes total) because the thermometer came out the first time with some wet batter on it. I used a meat thermometer, so I’m not sure the reading was right. But, it only reached 100 degrees celcius when I pulled the bread out. It toasted up nice! But, I’m wondering if I should have baked it longer or on a higher temp? Thanks so much for your help! Hi Kristine. I love the smell of the bread as it bakes and as you say, it is great toasted. What you describe is called “tunneling” in yeast breads. That is then the top separates from the rest of the loaf. Sometimes that happens when there is an unfortunate air bubble right under the surface. A few things come to mind… Make sure not to over mix the dough at any stage. If there is just a little dry ingredients that haven’t been fully incorporated, that’s okay. I sprinkle it on top of the loaf. Second, make sure to handle the loaf carefully when putting it in the pan. After it’s in the pan, I lift the pan up a few inches and let it fall back onto the counter in hopes that some of the big air bubbles will be knocked out. Third, because the loaf is pretty heavy, it will be more dense at the bottom of the loaf but I have never had it be wet. If you have an instant-read meat thermometer, that is fine. Don’t use a regular meat thermometer or you will sit there all day getting a reading and the bread will collapse. You can try baking at a higher temperature – I don’t think it would hurt the bread at all. If the top becomes too brown, you can always tent it with foil. Thank you for the tips! I will definitely keep trying! ? I made your recipe today. It tastes much better than the gluten free breads I’ve been buying. Like other comments mine was purple inside and outside. I didn’t have the NOW brand of psyllium powder. When I took the dough out of the mixer it looked just like yours but got decidedly purple as it baked. I will purchase pasteurized egg whites for my next loaf…what do you do with the leftover egg yolks? I was a bit doubtful with the amount of vinegar in the recipe but it didn’t change the flavor at all. The loaf did rise nicely and it didn’t fall after taking it out of the oven. Your suggestion to lay the loaf on it’s side worked perfect. I have two questions for you. Do you think it would be OK to cut slits in the top before baking to give the finished loaf an old world look? Also do you think cinnamon, nuts and raisins can be added to make a raisin bread? Thank you, I will be trying more of your recipes soon. Hi! It’s in the oven right now. I used the same quantities, although I used egg white powder and different brands. But I get 1.4g net carbs for one slice, that’s half yours. Do you have any idea where the difference comes from? Thank you Kim for this wonderful recipe! I read through all the comments to read the results of others and made it yesterday afternoon. Living in Sydney Australia I went to Coles for the ingredients and then followed all your instructions to the letter. As I’m originally from Holland, I converted all the weights to grams first, which made it easy to work with my scales. It took no time at all to make it! Popped it in the oven for 90 minutes, trusting your instructions without even opening the oven door once! The loaf felt just a little damp when I took it out, so I let it cool completely overnight, brought the oven up to temperature this morning and popped it in (without the tin) for 10 minutes. My husband agrees: it tastes & looks fantastic. After 3 years searching for a Paleo loaf, you have answered my prayers! Thank you! I have been buying a New Zealand made Paleo loaf weekly as that has been the only option until now, and pay AUS$15. This works out much more economical as well. I am currently making this bread, however I whipped the egg whites until soft peek before mixing and I also used just phsyllium husks and I’ll let you know how it turns out but is rising great so far. Also used apple cider vinegar. At Walmart you can buy cheaper versions or the bulk barn of everything, it only cost me $2 for bag of flax seeds same as the $10 ones, just gatta look. I don’t see anything on high altitude cooking in the notes section. Can you please fill me in on this? Also, vinegar…regular white vinegar or does Bragg apple cider vinegar suffice? Thank you! The bread looks wonderful. Can’t wait to try it. I made this today. It looks really purplish in color. I used the Now brand of psyllium husk powder. The apple cider vinegar is reacting with the baking powder to turn it purple. Buy a baking powder that does not have aluminium in it. Wow, great contribution Peter! This should be bumped to top so first timers (like me! I have been trying to find Jay Robb psyllium husk powder without success – Amazon doesn’t have it) can skip the purple on first try :)…this is wonderful news! Delicious! I added extra water, baking powder and vinegar. Texture was just right. I made a mini loaf and then scooped “buns” per another comment. The extra vinegar really gave it that yummy sourdough taste. I’m going to attempt using a nut-free replacement for the almond flour because we have allergies in our house. All in all I’m am beyond grateful for this recipe ❤! LOVE this recipe! Great texture and taste. One question: Do you have any tips for high altitude baking? I had to bake the loaf for almost two hours. Has anyone else tried this with a silicon bread pan? If so, what happened? Also, have you experimented with protien powder at all in this recipe? Hi, Rosanne, great questions. I don’t remember anyone saying that they used a silicone bread pan on this recipe. Let me speak about pans for a minute. Metal pans heat up faster and give a faster lift to baked goods – especially from the bottom and sides. They also cool down a bit faster. Glass baking dishes take longer to reach temperature but also take a long time to cool. This sometimes results in over baked goods and is why one often sees directions calling for reducing oven temperature by 25 degrees if a glass pan is used. Silicon bake pans are great non-stick pan options. I feel that they take a long time to heat and do not transfer heat as well as traditional pans. I like them for mini quiches and cheesecakes, but not for muffins, cupcakes or bread options. Silicone is often used as heat safe oven mitts because it does not get hot or at least resists heating. So, that’s my 2 cents about bake ware. I wish I could use this recipe because it loooks sooo good! But my husband is allergic to almonds so any recipe using it I can’t try. Could I sub coconut flour in any way possible and it work? I’m having a very hard time finding a low carb bread that actually holds up as bread for us both to eat. I tried one mainly with flax and it was gross. Any suggestions would be appreciated! Thanks. This looks delicious! I was wondering can I substitute almond flour with other flours such as : buckwheat, amaranth or teff or flax meal? OK…I have cooked for Decades…but sorry this recipe is so hard to follow…I have NO CLUE!! WHAT are you MIXING when you pour the HOT water into a small bowl??? You do Not say!! Just that until its incorporated…??? Please tell me…. Hi, I was wondering how you calculated your nutrition facts? You didn’t put a serving size, so I’m not sure if this is a large slice of bread, or very thin. Is the nutrition info for one or two slices? Thank you. Hi Kim. Thanks for your reply regarding the serving size- that is helpful information to have. I actually have another question about the size of the bread pan. My loaf pan is 9×5, and I called a few people to see if I could borrow an 8×4, but it seems that everyone I know has only a 9×5. Maybe this is the standard loaf pan size? I’m not sure how I can make this recipe now without having the right size pan. Do you think it would still work in my slightly larger pan? Kim- how long will this bread stay fresh if it is sealed in the fridge? Thank you so much for your fantastic recipe and prompt replies- you’re awesome! My sister in law recommended your site and this bread recipe; I live at 7500 feet in CO and I followed the directions to a “t”…..I baked for 90 minutes at 350, left the bread in the pan as you suggested for five minutes and it slid out of my USA baking pan beautifully…..it looks just like yours and I’m so excited because it’s been almost a year since I’ve had a grilled cheese sandwich — absolutely, positively scrumptions!!! Thanks so much — can’t wait to try some of your desserts. Note for those who were worried about the recipe…I live in Canada and don’t have the same brands. So I used those that I had, giving the flax, psyllium powder and almond flour an extra 30-60 seconds each grinding in my nut chopper. In fact, the almond flour became liquid in parts. Also, I tried doing the mixing in my Vitamix…which I recommend against. All in all, however, while the bread is a bit funny inside (clearly not mixed enough), it tastes just fine and yeasty-bready which was what I was craving. So, take heart, it’s a great recipe and you couldn’t mess it up any worse than I did…try it out! Kim, hats off to you, I think I have tried almost all the other psyllium low carb breads on the web, but yours is my favorite. I love the heartiness that the flax seed gives it. I am a “single” and tend to use buns/english muffin shapes more than bread slices so tried a half recipe of your bread as a bun. A half recipe made 4 big hamburger size buns….you could get 5 english muffin sized ones from half the recipe. They were GREAT. Maybe a bit to hearty for a hamburger if you prefer a fluffy bun, but great as halves toasted for open faced tuna fish salad, etc. And great toasted with butter and jam for breakfast. I cooked mine 55 minutes and then took them off the baking sheet and left them cool on the oven rack as the oven temp fell back down. Nice crispy bottoms, no collapses. Just great great great buns. I just used a big spring loaded ice cream scoop. to portion them out..minimal handling, and did flatten them a bit so to not get too big a dome. Love them….eating one as I write this, and going back for seconds. PS I used Whole Foods in-house brand (365 brand) psyllium. Worked great, and no purple color (as with some others). Kim, hate to wear out my welcome here, but wanted you / all to know, am now using a full 2 Tablespoons of baking powder and adding 20 oz of boiling water to the hamburger buns mixture with great success. It lightens them up and they are more “bun like” then then denser bread you need for sandwiches, etc. And because they don’t have the weight of so much dough on top of them (as in a loaf pan), they rise beautifully, no big air holes and no collapsing. I can’t tell you what a life changer this is for me. And I am the hero of my office for sharing it with several other formerly breadless low carbers. Packing lunches just got a WHOLE lot easier for a whole lot of people.. Thanks for just a great (and versatile) recipe. Deborah, I enjoy reading your amazing comments. I must try your tweak for the hamburger rolls! And, was it you who sent me an email about the cinnamon rolls using this recipe? I am so behind with my “must try” list. Thank you again for your kind and informative comment. Have a fantastic week! -Kim. I wish there were words to tell you how much this bread is LOVED ny my husband. He had a colonoscopy that went bad in 2014 and his colon hasn’t been the same, constant diarrhea and has to take an anti-diarrheal med daily. Your bread has stopped the diarrhea and has given him the hope that he may be able to stop the medication. I was careful to follow your recipe just as you specified and the meat thermometer helped tremendously. I’ve made it twice now and it’s perfect. Thank you again and again! I made a loaf last week and you are right this is excellent and delicious bread. Thank you for sharing. It is hard to stop eating it. It also makes excellent French toast. Yum. Do you need to store the bread in the refrigerator? Regarding storage, I took note of the suggestion to refrigerate to avoid molding, but how do you recommend wrapping it? I let it fully cool out of the pan and am loving that it is not soggy and is nice and crisp. I dont want to lose that texture by storing it wrong. How do you normally store it in the fridge? Foil? Paper bag? Saran? I finally got around to making this loaf and it was delicious. Thank you for this recipe. Came together exactly as your instructions explained. I made it!!! Loved it! WOOT WOOT! had it with my Homemade Chicken breakfast sausage! YUM!! two slices toasted only 6 net CARBS! 3 weight watcher points!! cool beans!! I’m going to add caraway seeds because I think it tastes like a good rye bread alternative! Just came across this recipe in my desperate search for a good tasting low carb bread. Can you tell me if a person can taste the almond flour. I have tried almond flour in several recipes and not a huge fan. I really need to find a bread I can use on occasion though. I have possibly a silly question about your Psyllium-Flax Bread. You suggest grinding and weighing the ingredients. Are these amounts listed in the recipe before, or after you have weighed the ingredients? Thanks for this recipe. I would like to try it, but am a little confused as the first three ingredients are in oz while the rest have been converted to grams. Here in SA we only use grams so my question is, do you have the conversion for it or can I just use google!? I didn’t want it to flop! And you do mention that weighing is better. Finally a Keto bread that doesn’t taste like cake.. I will have to try this instead of Keto buns on hamburgers next..
Any way you can write this recipe using cups, Tablespoons, teaspoons? I don’t have a scale. I’m in Australia and have been making this bread successfully for a few months – I use the Coles brand psyllium husk powder & Coles brand Golden Flaxseed powder & whole eggs not egg whites. Mine never smells of ammonia and is never purple. Mine is admittedly denser looking (less holes) than the pics in your post and a bit spongey/wet. Tastes great. I can’t seem to ever get it to 215/20. The maximum I can get it to is 212 on a good day with 90 mins in a fan forced oven at 350. I also have been using a rubber style non stick pan not metal I wonder if this affects the texture or internal temp? I do only mix for the specific time but I may try shortening this next time to try and get a lighter more bread like texture. It rises well and has never collapsed. I might also try egg whites next time to see if this changes texture. I live in a higher altitude area and I find I can only get these psyllium husk breads to work if I cook them in my counter top convection oven. I have had many failures with these types of bread but since I started using my little oven its always a success. I look forward to trying this recipe. So many recipes that I try from different blogs just don’t work out. I am so very happy that your recipe was NOT one of those! My diabetes is getting worse and I know it’s all diet related…so looking for a low carb, high fiber bread recipe that actually works, is like a dream come true! The bread had the air-holes like yours and it was moist but not wet inside. It also sliced really well after it was completely cooled. I did grind WHOLE golden flax seed myself, though. I baked at 350 for 95 minutes to get up to 215 internal temp. I have not yet found a metal loaf pan to your size specs, but I did find a foil pan about that size and I baked on a cookie sheet. The taste. Well, that first taste was of the bread was blah. I put a little butter on it and it did not really improve BUT as I ate, I realized that this is NOT a yeast bread, so no “yeasty goodness” smell while it was baking or taste in finished product. I continued to eat that piece and a small second slice and found myself enjoying it…with a full 2 cups of water, of course! The bread slices nicely when cool. Even for a small loaf I was able to get sixteen slices out of the loaf which I will divide up and freeze in vacuum bags. I admit I haven’t searched any where else on the site- have you tried using this recipe to make hamburger buns or dinner rolls at all? Thank you for posting this recipe! It is really delicious and does have a sourdough bread taste. I made this last night and it came out just like your pictures! Your tips were really helpful and I followed your instructions which I think made all the difference. I had tried the similar recipe from Maria Emmerich’s website but my bread collapsed and it was a much smaller, denser loaf. This one has a really nice rise with a good crunchy exterior and soft, pliable interior. Your instructions to not over mix it really helped with the airiness of the bread. I did bake mine for 100 minutes just to make sure it wasn’t going to collapse. Thanks for all your guidance in this recipe! I followed this recipe exactly and this is the best low carb bread I have ever tried. I wish I would have found this recipe before the other 10 that didn’t turn out. It tastes like sour dough bread…yum! Thank you so much for the recipe. I forgot to put in the apple cider vinegar and it still tasted great. I wonder how the acv would have changed it? I used a bag I had of flax meal w/berries- tasted great! I made this recipe last night. I loved the detailed instructions. I always weigh my ingredients out like that but it was nice to see that someone else does too, zeroing the scale and adding the next one! I let it cool overnight and tasted it this morning and it is good. Mine baked for a super long time though (probably at least 90-95 minutes). It is very heavy, I’m curious about how it will look in the center, I feel like I could have cooked it even longer. I had a thermometer in the oven. Thank you for the recipe! Hi Kim, I’ve made this a few times now and LOVE LOVE LOVE it. It did seem to work out better when I went to the dollar store and got cheap pans! They were exactly the right size too, slightly smaller than the “good” pans. However, now i have another question. I found that when I stuck the thermometer in, it later showed big holes when cutting. So I’ve been using a very thin skewer and that doesn’t seem to leave holes. But yesterday’s loaf has a big space all along the top length of the bread (so when you slice it, there appears to be about 3/4″ empty space all the way through the loaf (long ways). I have no idea if this is from under-mixing, over-mixing, baking too long, or not baking long enough. Any ideas? It looks beautiful, all risen and nothing caved from the outside. Thanks! Totally out of topic but your children are just so cute!! Thank you for the recipe, I will try it out! Hi! Great recipe! Extremely high fiber content though, so what’s the thinking on how much of this one should eat in a day? How much does your family consume? Thanks!! Also, does it turn out moist or well done like normal bread? I look forward to your thoughts. Thanks! Hi, Sarah. Thanks for your compliment. The bread tastes like sourdough bread. It does not have the same texture as regular wheat bread, nor does it have the same cake-like texture of other nut based low carb breads. It is sturdy enough for sandwich bread but elastic of floppy enough that it doesn’t crumble apart. I hesitate to use the word “spongy” because that is not exactly accurate either. It is more moist than dry, but it is not wet. I keep it in the fridge so it doesn’t mold. If I toast it in the pan with butter, the outside gets crispy. Most people who make the bread like it. If you are worried what to do with all of that psyllium powder if you do not like the bread, I have been using it in some of my baking recipes. It lets me use more liquid to get a nice big muffin or cake yield. I also use about 1/2 teaspoon in any protein smoothie I make to help bulk it up and up my daily fiber intake. I made this for the first time in response to my husband’s request for a Paleo bread that is more like real bread. Baked for 85 minutes but it was still only at 209º. Didn’t want to overbake so took it out and it was fine! Some airholes at the top inside and it was pretty dense and moist so I’m thinking I probably should have baked it longer. I used parchment paper on the bottom of my pan for easy removal so maybe that hindered quicker baking. Not much taste to it, although I did notice the lingering sourdough flavor. I do have one question: in my research psyllium husk powder is not really Paleo whereas psyllium seed powder is. Do you know if this recipe would work just as well with the seed powder? I’d definitely like to make it again! Thank you for a great recipe– there are so many things on your site I’d like to try! Thank you for the comment and the compliment Diane. I really appreciate it! You should not need the parchment paper for easy removal if you prepare your pan with baking spray or olive oil. Oil it liberally. I have found over the years that coconut oil does an inferior job of lubricating baking pans so I suggest a commercial baking spray, butter/ghee or olive oil. If your bread did not collapse upon cooling, then it was probably cooked enough. I under-salt things so you may want to add more salt if there was not enough “flavor”? Paleo. I followed a strict Paleo diet for a year and then relaxed it quite a bit as I realized that my body did not tolerate the natural sugars and starches that were allowed on the diet. I went back to “Low Carb” because that is what works for me. However, while I was eating Paleo I did notice that there were two camps – those who were almost militant and those who allowed more things in their diet if their bodies tolerated it. I post things as Paleo towards the more flexible side and let people decide if it’s something they want to eat or tweak. I was not aware that psyllium husks were not paleo. I find them a wonderful aid to baked goods and I even use the powder in my smoothies instead of xanthan gum, as a natural thickener and fiber source. I am not familiar with the seeds and would think that they are completely different than the husks. Let me use oats as an example… The oat groat is covered in a papery husk. This is often ground and sold as oat fiber, a product that has an equal amount of fiber as carbs, which is different from the seed or groat portion inside of husk which contains carbs, fats and proteins. I may have my facts wrong, but that was the best example I could think of. I think the psyllium seed is going to be completely different than the husk. Perhaps that is why one is paleo and the other is not; one has nutrition and the other is just fiber. Thank you so much, Kim, for your detailed response–I really appreciate it! My understanding of why psyllium husk is not considered Paleo is that it is insoluable fiber whereas psyllium seed is a soluable, probiotic fiber that is “good for the gut” to put it simply. I hear what you are saying about the differences between the husk and the seed and can see where they are probably different to bake with. Psyllium seed also does not seem to be as widely available as the husk, but I certainly would like to try doing something with it! I must say that even though psyllium husk is not considered Paleo it does make a beautiful bread (I also have a nice recipe using psyllium husk for burger buns) and I still prefer it for bread over grains for diet purposes. 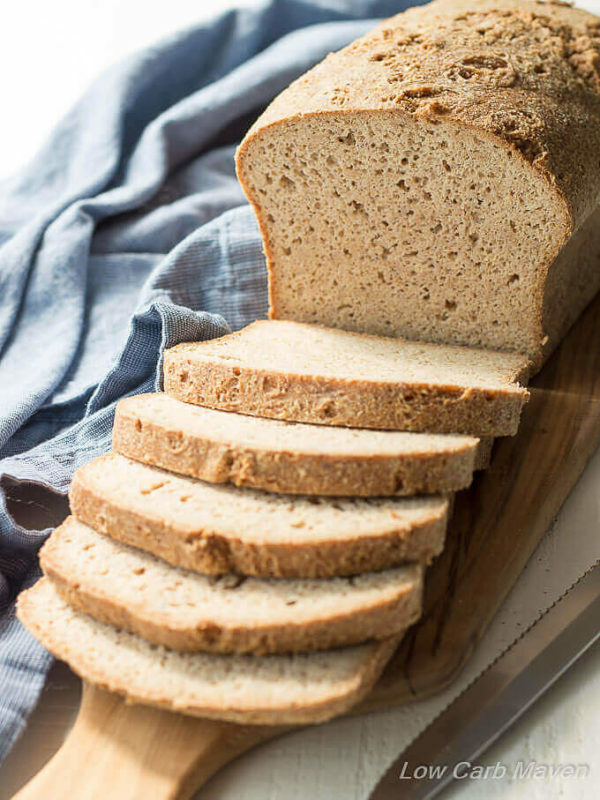 I have been making a pretty decent sandwich bread with almond flour which we’ve used for some time, but my husband was wanting something a little more like the texture of the grain breads if possible–yours gets us there! And since we still don’t eat bread that often, I don’t mind deviating a bit as long as our digestive systems can handle it. Now I must be the one to apologize for the length of my response! Thank you for your time, and recipes, Kim! Would you be willing to share a link to the bun recipe? You can never have too many in your repertoire! Thanks in advance! Can you convert you grams and ounces to cup and table/tea poons. I work in metric. Are the egg whites, vinegar and water measured in ounces or fluid ounces? Either way, what is the best equivalent in grams (as opposed to millilitres)? Cool! Just like a real pastry chef. :-) I’ll try this out with Aussie ingredients and post back if you want. Hi, I made this bread today. I followed your recipe to the letter and all the timings correctly. I checked the bread after 60 min with a therm.and it was 205 degrees, after another 10 min it was 210 degrees, then I kept it in for another 15 min since it was only going up 5 degrees every 10 min. The loaf was nicely browned, the dome was high…looked just like your pic. I take it out and within minutes it sunk. I waited until it was fully cooled to cut into it and when I did the bottom was not fully cooked, the texture was quite rubbery. I will keep trying to make this this because the taste was quite good. Is it supposed to have a rubbery texture or like a regular bread texture? I am hoping that since I now know the timing of my oven, I won’t test the bread temp until 70 minutes at least, hopefully this will keep the bread from collapsing….kinda reminded me of a souffle lol. I thought that by waiting for 60 minutes to go by before testing would keep if from deflating? Hi, Julie. I’m sorry about the loaf. How frustrating. That happened to me a few times with the original recipe. You should still be able to toast it up in a frying pan with some butter and enjoy it that way. Yes, the texture is a little more rubbery because of the psyllium powder and the bottom of the loaf tends to be a little more dense than the middle and top. Can I usea 9×5 loaf pan? Also, although I sprayed my pan well with coconut oil, it still didn’t want to come out of the pan, so I’m thinking of lining the bottom and long sides with a piece of parchment paper and spraying the pan. Then I can just lift the bread out. I was going to order the Jay Robb brand but I just opened the NOW brand and really want to use it, plus the two places I found online that sell the Jay Robb version is out of stock at the moment. Great advice on salvaging the not so successful attempts and love all the details – I’m excited to explore your site for more tasty recipes. I’m new to low-carb/keto eating (couple of months into it) but I finally can walk through the grocery bakery and not be COMPELLED to pick up some of their sweets. I am a former Type II Diabetic having had normal glucose readings since gastric sleeve bypass but had gradually started eating more unhealthy carbs and then fighting my pre-surgery urges for sweets and crackers. 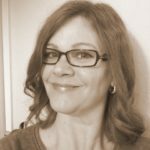 I’m terrified of the diabetes “coming out of remission.” Even though I can no longer eat a lot at one sitting, I can graze throughout the day to make up for that – a no-no for WL surgery patients. 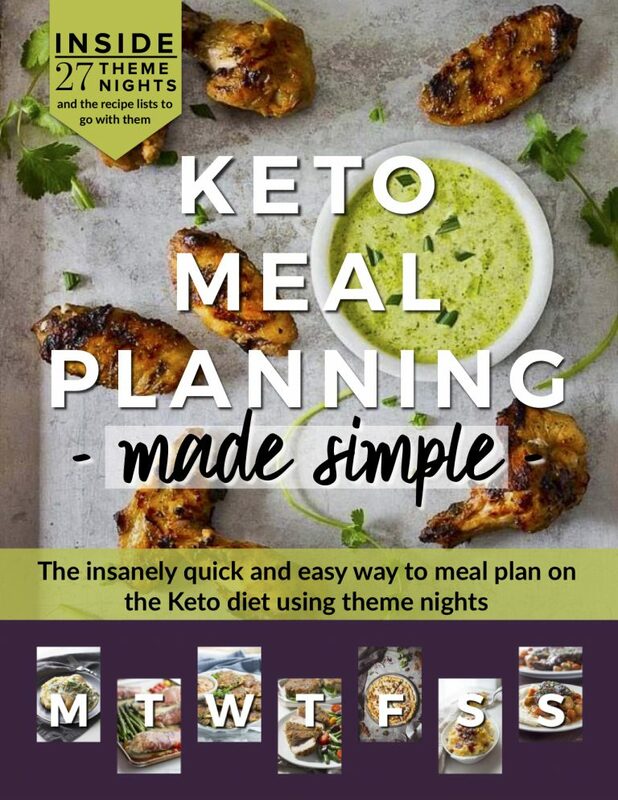 But now on the keto eating plan I am not hungry every 1-2 hours like I was pre-keto and can manage on 2-3 small meals for the day. Sorry for the long post. Thanks for taking the time to reply. Hi- I’ve made this wonderfully delicious bread two times now. It’s not rising as high as the bread in your photos above. Based on your experimentations, do you have any idea why this may be happening? I’ve followed your directions and ingredients list exactly, and was very careful not to over mix (I definitely mixed for no more that 10 seconds. ). 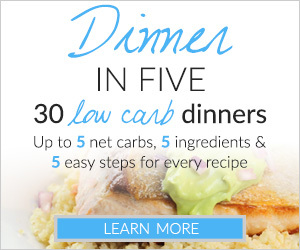 Btw, I will definitely be sharing this recipe with my low carb friends. It is so good!! Thanks, Kim. I’ll do a little experimenting. Hi! I tried Maria’s recipe several times but it came out extremely gummy. I tried yours and it was a lot better, but it was still gummy inside and also I couldn’t reach a temperature of anything over 200 even though it was in the oven for quite a while. I live in a place where it is high altitude, do you have any suggestions? I followed everything exactly. Thanks for the nice compliment Gabi. First, let me say that I know absolutely nothing about high altitude cooking. Would baking at a higher temperature like 375 or 400 be more appropriate? The bread DOES need to cook for a long time and sometimes I go over that 70 minute mark. I rely on that insta-read thermometer. Although this bread is not “gummy” to me, the psyllium can sometimes clump together in spots and it is definitely more dense at the bottom of the loaf. This bread does not have a ‘true bread’ texture, but shouldn’t be gummy. It’s my experience that a gummy texture can be a result of over mixing or not baking long enough. I would try the higher temperature. If you want to troubleshoot this further with me, send me an email. I will be happy to do my best to help! If you have more success in the meantime, will you let us know what you did? It may help someone else in your situation. Have a nice weekend! Hi! I am all set to try this recipe tonight now (v excited albeit a little bankrupt) but although it mentioned pre-heating the oven it doesn’t actually state what temperature to cook the loaf at for the 60-70 minutes?! Just wondering if this could be made in a bread machine? Possibly with using a yeast packet? Hi! Just found your blog- did you ever make that yeast risen focaccia bread (low carb) excited! Omg, it worked! I have tried several other versions of this bread with disappointing results. This was by far the quickest, easiest recipe. It takes 2 minutes to get out all the ingredients. Then I turn on my Kerig for the hot water. Grab the scale, measure everything out by weight (no measuring cups to wash). Got boiling water ready, pop all in my kitchen aid mixer per instructions, and into the oven. 10 minutes prep start to finish. Makes the most beautiful loaf which does NOT fall as other recipes did. I have celiac and IBS. For some reason (perhaps the flax and psyllium) it really regulates my digestive track. Much less IBS symptoms for me. can you smell the vinegar in the bread after baking? If so, is it essential to add vinegar? I thought we only need vinegar with baking soda, not baking powder. Thanks for sharing the recipe and tips. I want to try it, but my family really don’t like a strong vinegar smell. Thx. Proceed with following the instructions. Remember, this bread is tricky and can not be over mixed or over handled. The instructions must be followed exactly and no subbing of ingredients. The first batch may not yield the best results. It will still be tasty and can be toasted in a frying pan and enjoyed with breakfast. I have never thrown out a kitchen failure unless there was no possible way to salvage it. These ingredients are expensive and I test my recipes at least three times before I post them. I make this recipe for my family 2-3 times a month. I’ve had this pinned for a while, but finally took the plunge yesterday. Oh my goodness, so good! I toasted a piece of it this morning and topped it with smashed avocado, sliced tomato and a fried egg. Heaven! I’m so happy to have a bread-like vehicle in my breakfast routine again. PS: I used whole husk psyllium from Organic India b/c I had it in my pantry and didn’t want to buy something new. I ground it in my coffee grinder and measured it out per your instructions. No blue or purple loaf and, as far as I can tell, it looks the same as yours. Just thought you (or others) might want to know! Delish!!! Have you tried making a lot and freezing them? Any success? Kim, This was simply amazing. You have changed my life with this recipe and I am on cloud nine (wherever that is). I am a very good low carb cook. Even a great one. But bread… no, that wasn’t in my life. Today that was fixed. No more stupid “cloud” bread. Grilled cheese, toast, etc. We got an easy 18-20 slices out of each loaf. Everything I’ve made of yours has turned out Aaahhh-mazing. You are that good. I should share my terrific pancakes with you in respect for your amazingness. The bottom half of my loaf was a little wet even though it was in the oven for 70minutes and the thermometer reading was 215. Should I try adding minutes next time? It tastes great- the best I’ve tried so far. I followed the directions exactly and bought the metal pan. Maybe I mixed too long or- I did take the loaf out of the oven a few times to measure temperature- it might be that. In any case I’ll continue trying because the taste and texture is exactly what I have been missing with other breads. Hi Pat. It sounds like you did it right! :) Now that you have a better idea about the timing, don’t pull the loaf out to check the temp until the 70 minute mark — for your oven. The mixing is key. It can’t be over mixed at either stage. Now, I will tell you that there will be areas or pockets throughout the loaf where the psyllium clumped together and those areas will be a little more dense – I hesitate to use the word “gummy”. The bottom quarter of the bread will be a little more “dense” than the upper portion. You may be able to tell if you examine the photos closely. I’m happy you like the bread. Let me know how the next loaf turns out. 70 minutes? The recipe says to cook it 80 to 90 minutes. ??? Thanks for this great recipe and concise directions. My loaf turned out great, however, it turned blue. Do you know what would make it turn blue? I used a stainless steel mixing bowl, do you think that caused a reaction? Also, I used whole eggs… Thanks again! I apologize for missing that part of your instruction about how the psyllium husks can turn the bread color. Sometimes I skim the important stuff… Ha ha. No, my bread does not smell like ammonia. It does smell strongly of flax seeds, but that doesn’t bother me. I am going to experiment with this recipe. I did add salt, and felt it could use a bit more, and I also added about 3T of coconut sugar. I think the sugar was perfect, but will increase the salt. It is a reaction of the baking powder with the flax, depends o the baking powder, sometimes it turns out green. Baking powder is reacting with the vinegar (acid) to turn it blue/grey. Buy a baking powder that does not have aluminium in it. Hi Jeannie. I certainly agree with you that the ingredients one uses to create great tasting low carb baked goods are expensive. I wish I had some ideas for shortcuts to make it more affordable, but maybe this will help you feel better about it. I quickly added up buying 2 cartons of egg whites ($2.69×2), 1 package of Bob’s Red Mill Golden Flax Meal ($4.69), 1 package of NOW brand psyllium husk powder ($6.29) and 1 pound of almond flour ($5.99 in bulk at my health food store) and then divided by the number of loaves I could make with these ingredients, which is four. I came up with roughly $6.30 per loaf (dependent on the price of almond flour). That’s nothing to sneeze at – I know. But, if I purchase a loaf of gluten-free Udi bread for my kids to eat, I’ll pay over $6.00 and only get five sandwiches out of it and I can’t enjoy it because it is not low carb. I can get 10 sandwiches out one loaf of this psyllium-flax bread and I can enjoy a piece if I want. Even low carb bread like Julian Bakery’s low carb bread is $8.99 a loaf. Yes, it is 8-10 times the price of cheap store bought bread, but it is wholesome, filling, is almost like regular bread, tastes great, and is something my whole family can enjoy. It also freezes well. For my family, even though it is expensive, it works. Oh, one more thing. I rarely throw away any failed attempts of my recipe testing unless it is completely unsalvageable. The less than perfect tests of this particular recipe were great sliced and fried in coconut oil or ghee/butter in a pan and topped with an egg. Thank you so much for your comment and for sharing your concerns. It is important to me. Please let me know if there is anything else I can answer for you. Plus you can make more than 1 loaf with those ingredients, right? So it’s about $5.60 a loaf, not $10? Thanks, Kami! Math was never my strong suit! Actually, since it takes about 2 1/2 pounds of almond flour for the 4 loaves it is more like $6.30 a loaf or more depending on how much the almond flour is, which is MUCH better than the $10 I mistakenly cited above. I will change it.